Recently for the sake of coworker competitionn I started playing a game entitled Diamond Dash (this is a screenshot on the right). 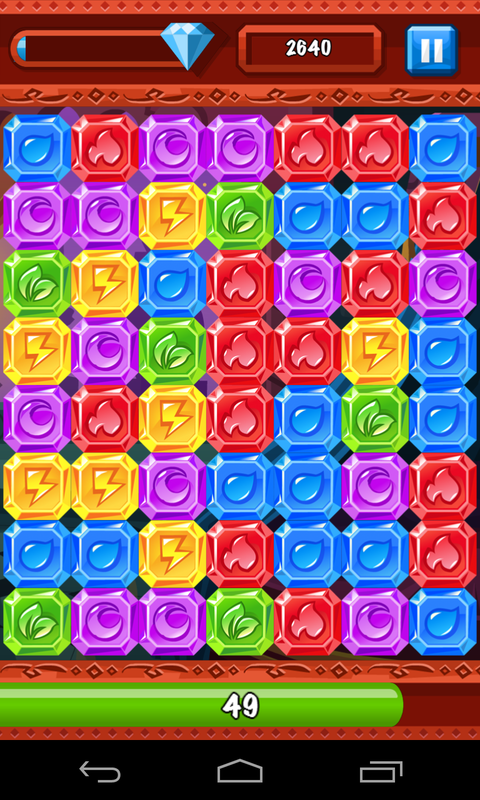 It has everything a game needs: points, flashing lights, and addictive gameplay. The goal is to find groups of three or more blocks of the same color and touch them, thus destroying them and increasing your score. Each week you are entered into a competition with all of your friends who play the game. Beating them gives you bragging rights. The goal is to beat your friends, and the only way to do that is increasing your score. The items on the left provide you with a means of drastically increasing that score and this is what drew my interest. The only way to the coins you need to buy the items on the left is to play the game (or pay). When you get a powerup it is automatically used in the following game. 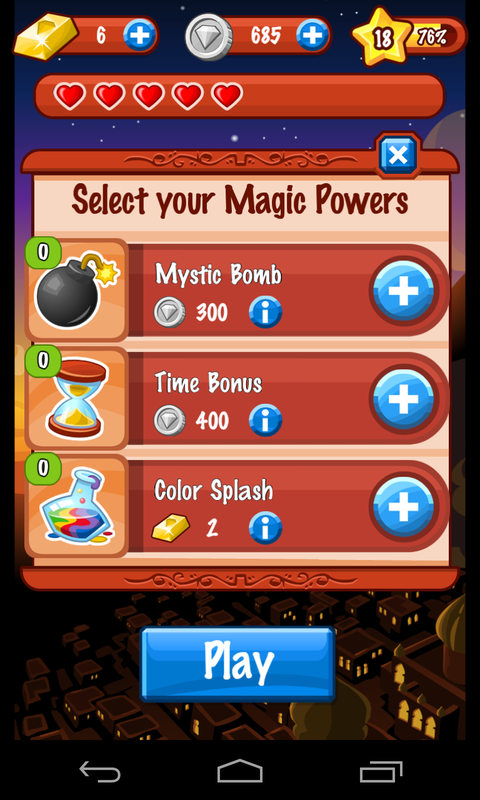 You have to buy several of the "Mystic Bombs" and "Time Bonuses" to unlock the "Color Splash" (the game gives you five "Color Splashes" when it is unlocked). Chances are by the time you unlock the "Color Splash" you no longer have enough coins to buy the the other two power ups. As the game uses up your "Color Splashes" you soon realize that you could get a significantly higher score if you combined the "Color Splash" with the other two. But without the coins to buy the items you can only imagine it. This is the point where they gain the most of their customers. The desire to show superiority over one's peers can be fulfilled with the payment of a few dollars. But what happens when one's peers start paying too? The game is fun, but I think I'll be uninstalling it pretty soon. Wasting money to beat people in a pointless game? Not my cup of tea.